I have to show you what we made today for the kids at our family reunion! I wish I could take credit for this awesome idea and tell you I was that cool to come up with it. We used the thicker 4MIL weight plastic and this made it last all day long and was very durable. After filling up the blob it was kind of dry and was hard for the kids to slide around. We poked tiny holes using toothpicks and the kids loved this so much more! They had so much fun sliding, slipping, and bouncing on the blob for hours!! We will definitely be doing this at our next summer get together!! Love this. Will definately be doing this sometime this summer. I can’t tell you enough how much fun the kids had!! You’ll love it! Good idea I never thought about poking holes in it. I saw the other one last year when it was too cold to try it. This is something we will be doing this year!! If you don’t want the kids to get wet you don’t have to poke the holes, which is great, but mine wanted to get wet and it was awesome because it turned into a giant slip and slide, too! Did you leave the hose on so it was refilling as the water was squirting out of the holes you poked? Or did you take the hose out and close the hole as suggested on Clumsy Crafters tutorial? So simple to make, too!! Have fun! Did you keep the hose on the whole time so it stayed (pretty much) full of water? 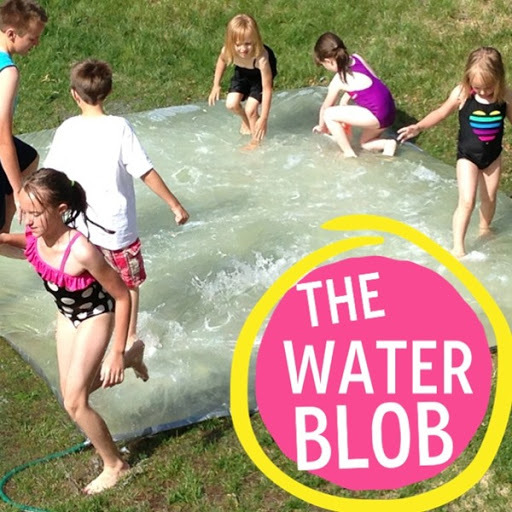 It looks like you taped the hose into the blob…right? Yes! We taped the hose to the corner and turned turned the water on and off throughout the party. Awe okay…I was trying to figure it out 😉 Thanks for sharing! Who says it has to be for kids right?! Adults will love this, too! Wow! This is awesome! I’m going to have to do this for my kids. They are already bored and it’s only the third full day of summer vacation. Rachelle your kids will THANK YOU! A word of warning for the water blob: I did this with my kids last summer and in watching them, I realized how dangerous this can be. First, this is very heavy when full. If your ground is not completely level, it will slide down the gradient and could easily trap a child. Our backyard has a small grade to it–I didn’t even realize it until our water blob started moving. It is a rolling action rather than a slide, which is how a child could get stuck underneath. It is to heavy to be lifted up to rescue a child with out emptying it out. Secondly, once there is a hole in it, it creates the risk of suffocation in the same way it would if you allowed a child to play with a plastic bag. I think the water being contained gives us a false sense of security and safety from drowning but this is actually a very dangerous activity and should not be done without adult supervision. My husband and I both agreed this was not a safe activity for our kids and we actually took our kids off it and tossed it after 15 minutes of watching them. Sorry to be a Debbie Downer, but I just want everyone to be aware of the risks. Wanted to share my experience. If you do this with your children, please do not leave them unattended! I believe there should be adult supervision with any type of water toy like the kiddie pools, water tables, etc. and yes the water blob included. Thanks for your input! 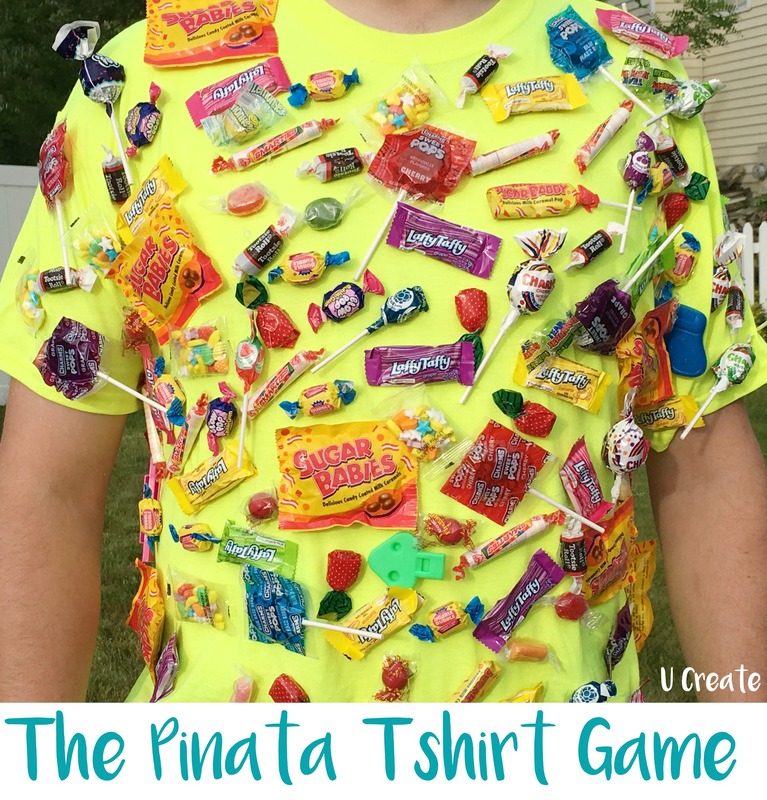 I gave this a try yesterday for my kids’ last day of school and they LOVED it! The neighbor kids came over too and they were entertained for hours! It’s not even warm out (in fact it rained a few times while they were playing) – but they were having so much fun that no one even noticed. Thanks for this idea! I’m so glad your kids had as much fun as mine did!! It really is a blast! 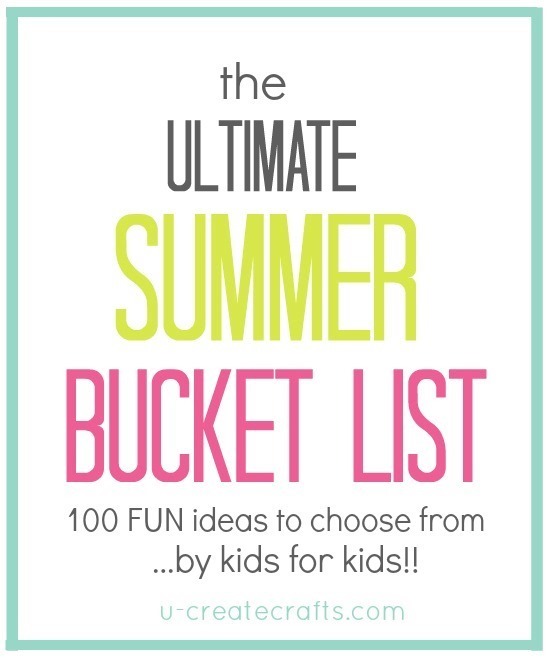 We did this as well and our kids loved it. Instead of poking holes in the top, we just put the sprinkler on near it so the top lewet. We also let them put a little “no tear” baby shampoo on the top to make it slippery and to get them clean. 😉 Very fun! Oooo…I love the idea of just using a sprinkler and the baby shampoo? Okay that sounds like a blast Jenni! You could seal the plastic on the edges with a hair drier…. We tried this last year and it leaked like crazy. There is another version on Pinterest that involves heat sealing the edges, we’ll be trying that this year! Also, be careful because it will kill your grass. We filled ours up in the hot sun and the plastic pulled all the moisture out of the grass below. So even though it was only there for less than an hour, there was a square of brown grass for weeks! One more tip, add blue food coloring! It’s very pretty 🙂 excited to try water blob 2.0 this year! What a great idea! I will do this when the weather is a bit warmer. (on the coast, its really not that hot sometimes even in the summer!) this is waaay better than a slip-n-slide that you buy at the store! I can’t wait to try this!